Capitalism without democracy is just gangsterism. See recent history in China or Russia for plenty of examples. Lately, under BushCo, the US has been stripping away its democracy, leaving just the capitalism. As Bishop Spong says: “Capitalism courts revolution when it allows the wealthy to get too wealthy and the poor to get too poor.” In international policy, this leads naturally to the military industrial complex. And it is the main problem with globalization. This is also the reason to have domestic spying. Political opponents are in fact, economic rivals. 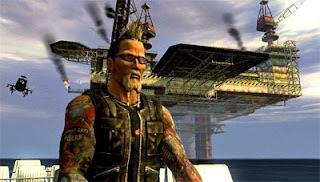 Without the rule of law under democratic oversight, capitalist competition and performance in the commercial marketplace quickly morph into the competition and behavior of gangsters. In which we find the real Iraq wall, and otherwise catch up on current events. I am a member of a commission that awards about half a dozen scholarships per year to the local community college. A scholarship pays for a full year of in state tuition, and students can reapply for more than one year. This two year college does a very good job of educating students who come from all over the world, providing them with associate degrees that will give them chances to get better jobs, and to further their careers. Many of the applicants come to the US from other countries. Most came here with their families when they were younger. Some are separated from their families. Many of them were displaced from their homes by war. And the US has often had varying degrees of involvement or responsibility for these wars. Last night we reviewed the applicants for this year. They were a good group, most with real potential. There was one girl applying this year who fled Sudan. Her family fled and she heard her father had died. Her mother kept them together, fed and sheltered. But war came again. Her mother had a breakdown, and they had to drug her in order to bring her with them when they fled. Eventually she and her family arrived in the United States, and she attended public schools. Another young applicant had fled war in Guatemala, a country in which the US has had a long involvement, managed to get to the United States and attend public schools. Over the six years I have been on this commission we have read many biographical essays by many students who have fled horrors, and suffered here, but refuse to quit. There are opportunities in the United States, but it is not a kindly place, particularly these days. 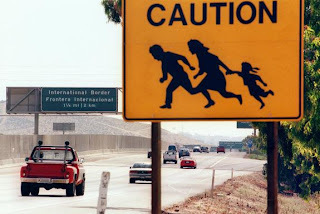 If you are undocumented it can be brutal. People here, including citizens, often live isolated lives with no support network. If you have a child, or children, there is often no one to turn to for help. And undocumented immigrants often have no legal protections. Many immigrants, in fact many citizens, have to work multiple jobs, because one job may not even pay housing costs. The young applicants we review lead complicated lives, and their stories are often heart breaking. Making the scholarship decision is often very difficult because all the applicants have financial need, and all are deserving. Not all our applicants are immigrants, among those who are immigrants, some are economic refugees, but many are here because their families fled war. In their essays many of these young people say they wish to be back in their own countries, without war. …Which is the wall the current Iraqi government is building (with the support and guidance of the Americans). It’s a wall that is intended to separate and isolate what is now considered the largest ‘Sunni’ area in Baghdad- let no one say the Americans are not building anything. According to plans the Iraqi puppets and Americans cooked up, it will ‘protect’ A’adhamiya, a residential/mercantile area that the current Iraqi government and their death squads couldn’t empty of Sunnis. The wall, of course, will protect no one. I sometimes wonder if this is how the concentration camps began in Europe. The Nazi government probably said, “Oh look- we’re just going to protect the Jews with this little wall here- it will be difficult for people to get into their special area to hurt them!” And yet, it will also be difficult to get out. The Wall is the latest effort to further break Iraqi society apart. Promoting and supporting civil war isn’t enough, apparently- Iraqis have generally proven to be more tenacious and tolerant than their mullahs, ayatollahs, and Vichy leaders. It’s time for America to physically divide and conquer- like Berlin before the wall came down or Palestine today. This way, they can continue chasing Sunnis out of “Shia areas” and Shia out of “Sunni areas”. I always hear the Iraqi pro-war crowd interviewed on television from foreign capitals (they can only appear on television from the safety of foreign capitals because I defy anyone to be publicly pro-war in Iraq). They refuse to believe that their religiously inclined, sectarian political parties fueled this whole Sunni/Shia conflict. They refuse to acknowledge that this situation is a direct result of the war and occupation. They go on and on about Iraq’s history and how Sunnis and Shia were always in conflict and I hate that. I hate that a handful of expats who haven’t been to the country in decades pretend to know more about it than people actually living there. I remember Baghdad before the war- one could live anywhere. We didn’t know what our neighbors were- we didn’t care. No one asked about religion or sect. No one bothered with what was considered a trivial topic: are you Sunni or Shia? You only asked something like that if you were uncouth and backward. Our lives revolve around it now. Our existence depends on hiding it or highlighting it- depending on the group of masked men who stop you or raid your home in the middle of the night. The United States needs to deal with other countries in ways in which the military is the last option, not the first. Oil has been behind a number of the wars that have sent refugees fleeing into other countries and to the US. Oil is behind the Iraq war. And oil is behind recent US interest in Africa, including Ghana. That is the background for creating the US Africa Command. The people involved in Africom talk about leading with diplomacy, and talk about peaceful intentions. I recently heard a soldier interviewed on TV who said, the job of soldiers is to kill people and break their stuff (he said as opposed to police, whose job is to protect people and protect their stuff.) As long as your military is your lead contact with a country, the people you contact are in danger. The US should not be making it unsafe for people to stay in their own countries. 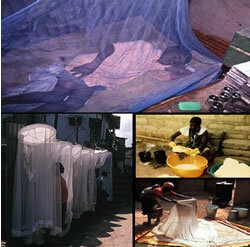 From the CDC: Insecticide-treated bed nets (ITNs) are now a major intervention for malaria control. Seven years ago, on April 25th, 2000, African leaders from 44 malaria-endemic countries participated in the first-ever African Summit on Malaria, and declared April 25th as Africa Malaria Day. This year, for the first time, the United States will officially commemorate Malaria Awareness Day, celebrating progress and highlighting opportunities in the fight against malaria. To underscore the U.S. commitment to ending malaria related deaths, President Bush embraced the urgency of the cause by designating April 25th, 2007 as Malaria Awareness Day. African researchers in resource-poor countries are as competent and knowledgeable as their Northern partners. They publish research articles in leading peer-review journals, present findings at international conferences, read the same literature and attend the same symposia. So why aren’t they designing malaria vaccines themselves? The stock response to this — as it seems to be to all Africa’s development challenges — is a lack of funds. But putting pen to paper to design a vaccine does not cost money. It takes creativity and innovation — attributes that we on the continent surely possess. Effective research and development (R&D) does, of course, need funding. But to say that the lack of malaria vaccine R&D in Africa is due to poverty is a lie. African governments can afford to buy presidential jets and bail out floundering companies. They maintain huge defence budgets and engage in recurrent military adventurism. These actions cost the continent hundreds of millions of dollars — money that could instead be used to develop malaria vaccines. Similarly, petrodollar profits from oil-rich states like Gabon, Libya or Nigeria could be used to support malaria R&D efforts within and beyond their own borders. The European Union — a region that has no malaria — currently supports a multi-million dollar network of excellence in malaria research. These funds could, again, have been better spent supporting R&D efforts in Africa. Misguided funding policies have been accompanied by lopsided training policies that have created a polarised malaria research world. African scientists running R&D projects must make herculean efforts to mentor a new generation of Africans to tackle malaria vaccine R&D head-on. This also means lobbying their governments to invest in research — before the North-South divide becomes an abyss. University curricula should emphasise product development and entrepreneurship. Strategic partnerships with African organisations like the Uganda Industrial Research Institute would facilitate the development of pilot biotechnology projects. In this way, products developed by academia could be scaled up on a semi-industrial scale for proof-of-concept studies. African policymakers have hitherto only paid lip service to African science. They must now embrace it as the engine for socio-economic development in Africa, giving it unequivocal and solid financial support. Total Intel represents some of the best and brightest the CIA has produced and Blackwater commands a formidable group of tier-one Special Forces operators. Simply put, together these companies rival and possibly surpass the capabilities of intelligence services of most nations–and I’m not talking Third World. Such capacity for covert operations has never before been in private hands–and for rent. These companies are run by people who identify themselves as intensely patriotic Americans. That is relatively easy when you are employed by the Pentagon or the CIA. In theory, both organizations are established to support US interests, as government institutions. But when your services are for sale, you are working for your employer. And a corporate employer may have very different interests from the interests of the United States, or the interests of the government or citizens of whatever country where such a company may be working. And what happens when the corporate leadership evolves over time? Will the loyalties evolve? The potential services are demonstrated in a theoretical scenario she provides for Exxon in Venezuela that has implications for the citizens and governments of African countries, particularly with the current focus on the oil in the Gulf of Guinea. planning and execution of sabotage of a competitor’s foreign facilities. In no way am I saying that Total Intel, Greystone and Blackwater are offering these services, but rather I am exploring the potential synergy of the CIA’s former top case officers and Special Activities Division operators combined with the best in Special Forces. They’ve done this type of work for their former US government employers, so why not for their corporate ones? Let’s take a hypothetical scenario and examine the potential a little closer. When I think about good uses for such brains and brawn, oil and Venezuela come to mind. In late 2005 the Venezuelan government gave Exxon an ultimatum that it had to form a joint venture with the national oil company (it eventually did.) The state petroleum company has been very uncooperative, to put it mildly, and has caused the shut down of Exxon fields. Let’s just say it’s not a comfortable place for Exxon to do business. If I were sitting in the Houston boardroom of a company that has seen governments come and go, I know what I’d be thinking: get rid of Chavez or at least make his life hell. And with over $100 million profits daily, I’d have the cash to buy the expertise that I needed. And that expertise that is now on the open market. I’d hire spies to identify potential insurgency groups to support and to create the needed cutouts to conceal my involvement. assist in training indigenous resources in developing a capability to conduct defensive and offensive small group operations, including firearm training requirements. Off-the-shelf standard field operations packages consist of 30 days of training to support raid, reconnaissance, and small unit tactics. I wouldn’t stop at an insurgency. I’d also use the spies for various psyops against the leadership and hire an espionage firm to identify potential targets within the military leadership and Chavez inner circles that could be compromised and used to seed suspicions and distrust among the inner circle. If my spies got lucky, they might even make Chavez believe a coup was imminent and his paranoia could spark a leadership purge. Then there’s always economic sabotage, inciting union unrest..the possibilities go on and on. Would a Fortune 500 company do something like this? We saw a few weeks ago that Chiquita was willing to give millions to terrorist organizations to further their business interests. Oil companies have not been good or benign corporate citizens in African countries to date. With these kinds of services on the market are they likely to become more responsible and public spirited? These kinds of services allow a corporation to have its own active and intrusive foreign policy, one that is responsible to the citizens of no country. (One of the) . 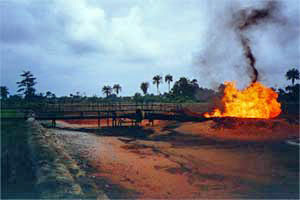 . . continuously burning gas flares which had been lit and steadily burning for years, some for over 30 to 40 years, polluting the air with dangerous CO2 and methane gases, contributing fiercely to the global warming trend, while resulting in destructive acid rains and serious contamination of air, water and land. These flares were noisy, and one could feel there awful heat and smell their associated gases from hundreds of meters away. These bright fires at night lit up skies over the nearby villages. The flares danced wild like some distorted form of eternal flames casting somber shadows and eery orange light over the unfortunate Delta communities. Even the comfort of night’s natural darkness was robbed from these communities who existed on that terrible periphery of the oil industry’s wastefulness. Attitudes are changing. There’s growing awareness of environmental problems as well as rising interest in “corporate social responsibility,” so it’s a bit harder for oil companies these days to behave like colonial overlords. We are also beginning to understand the reasons for the “oil curse”—countries that strike oil tend to get poorer and more violent over time. . . Despite this new interest in the “oil curse”, old habits and temptations will always remain, because of the lure of oil. This is a pattern in oil zones. Villagers fight each other for compensation or jobs, and politicians fight each other for access to the oil money. 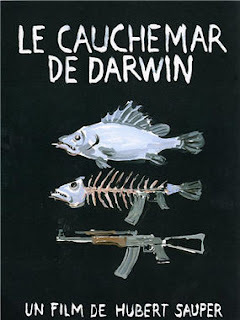 Shaxon discusses Gabon’s President Omar Bongo, the oil based sway he held over French politics, and whether similar scenarios exist or may evolve. With the private mercenary contractors and mini-CIAs that have grown up under Bush Cheney in Iraq, this may become a more pressing and complicated question. He points out that corruption is hardly a monopoly of African governments; western governments and financial institutions contribute more than their share to corrupt practices. Q: A CIA official once told me that the consensus among Nigerians was that the country would have been better off if the oil was still in the ground. Has oil really been so detrimental to African countries that they’d be better off without it? A: Angola’s oil-laden budget this year is about the same size as all foreign aid to all of sub-Saharan Africa—but according to the United Nations, Angola’s infant mortality is the second worst in the world, worse even than Afghanistan’s. At the start of the last oil boom in 1970, one-third of Nigerians lived in poverty; now, four hundred billion dollars in oil and gas earnings later, two-thirds are poor. People often put the problem like this: oil money would be a blessing but politicians steal it, so people don’t see the benefits. But it’s much worse: the oil wealth not only doesn’t reach ordinary people, but it actively makes them poorer. (emphasis mine) It took me years to really accept this counter-intuitive idea. But after all I’ve seen, I have no doubts. More missions accomplished by the Bush administration and friends here.